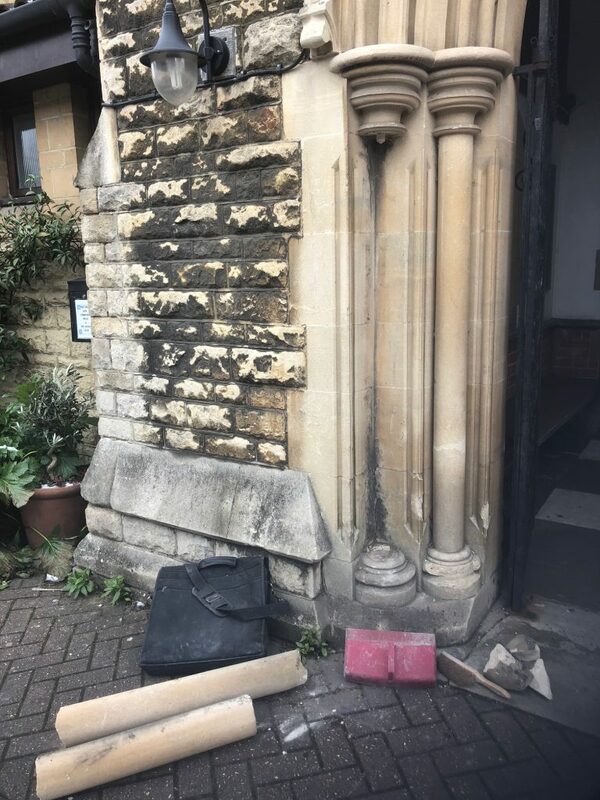 A beautiful Victorian church in Kew, the stunning entrance porch has suffered from both general wear and tear and a recent bit of poor reversing by car driver. 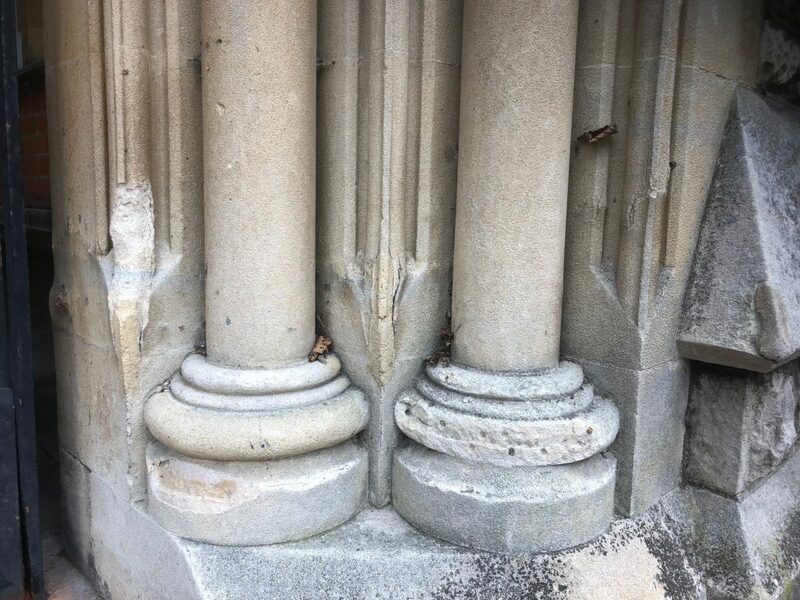 Previous repairs to the round bases had pinged off over successive winters and those delicate vertical bow-keel mouldings had burst and disintegrated. 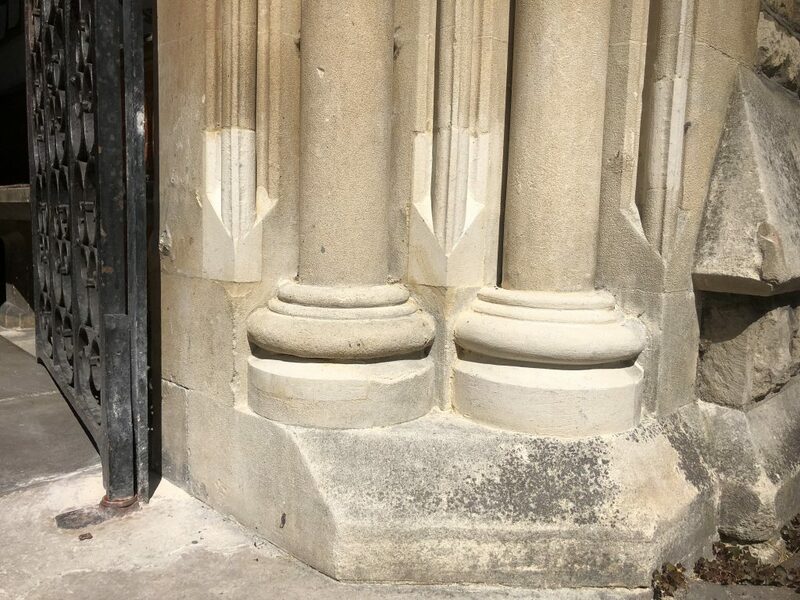 The pillar on the left side had been smashed with the car and was dangerous, so I took it down. 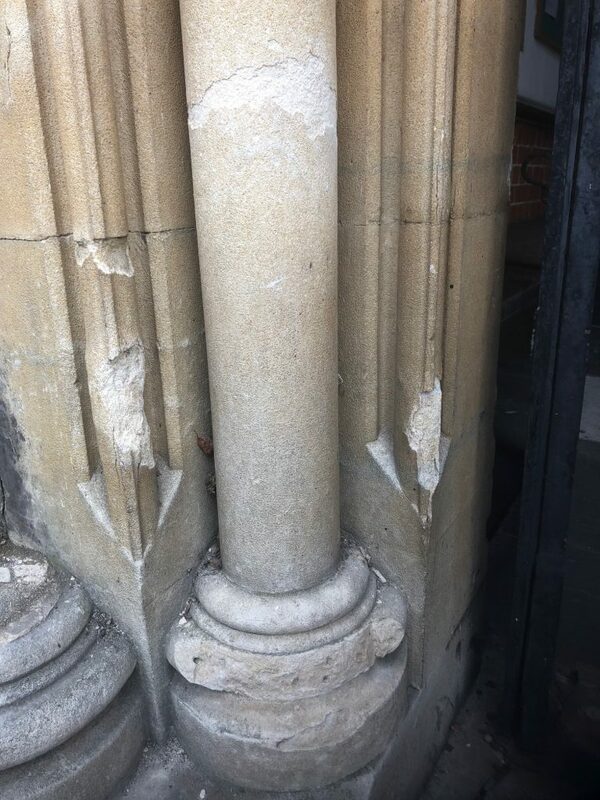 I cut the worst parts of the stone mouldings off so that I could insert nice square pieces of Bath stone to resemble the existing and get a really tight fit (see below). 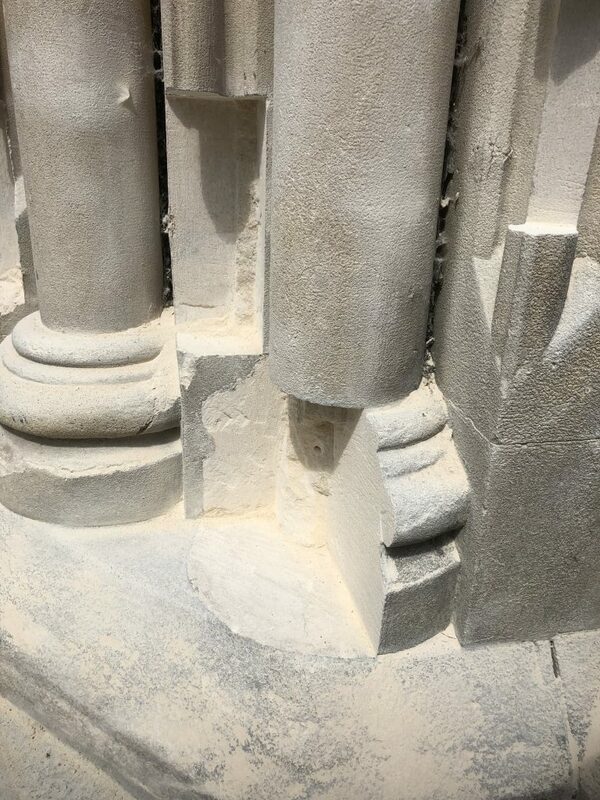 Along with another mason I took templates of the indents and we worked the stone off-site then returned with the new indents. I left the stones a little full so they could be trimmed and sanded on-site. 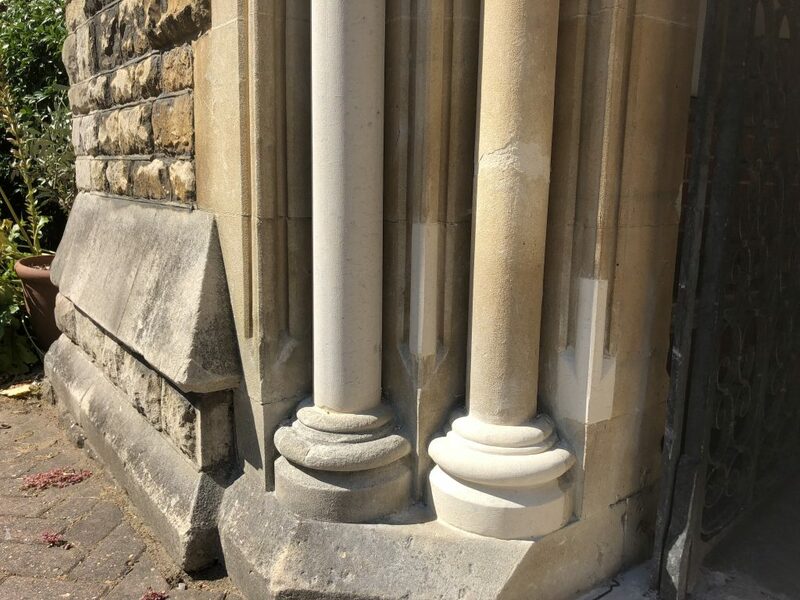 We used Bath stone and fixed the new pieces in with epoxy resin, stainless steel dowels and lime putty mortar. 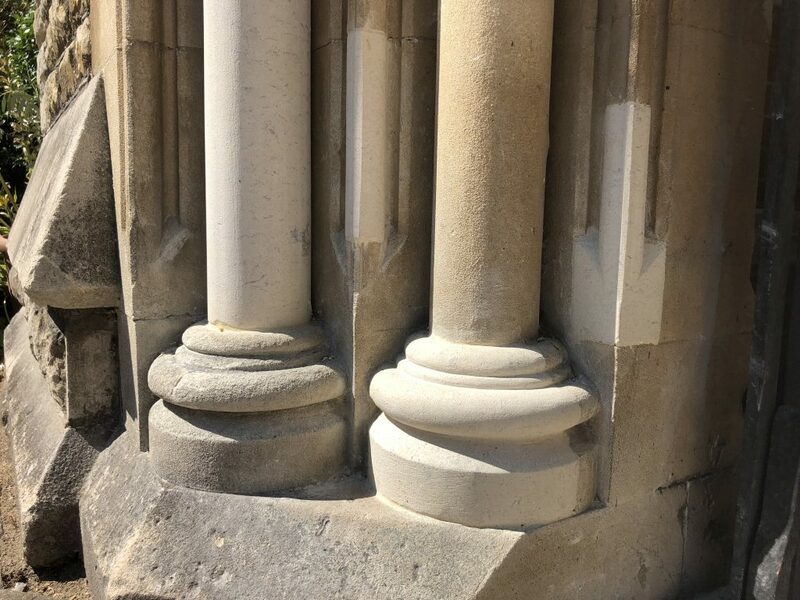 Whilst the new stone looks paler than the existing, it will weather in over time.